Zentanglers will be inspired by large full-color tangles from fellow artists and read about the drawing processes as they journey through the four sections of this book: Abstract Doodles, Shapes and Objects, Animals and Beasts and Friendship and Love. They will discover over 100 unique Zen doodle prompts and art from artists around the world. 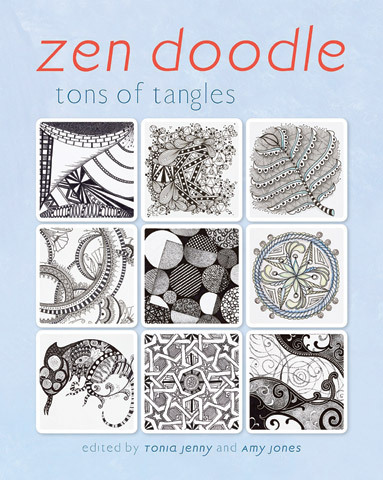 Each Zen doodle design is accompanied with a quick three-step tutorial that shows the basic forms and elements of the main doodle, and encourages artists to create their own unique, inspired design.